Spring is almost-sort-of-mostly here, and I've got lighter colors on the mind. As someone who loves saturated jewel tones, a spring palette is always a bit of a challenge. I am always looking for ways to bring in softer colors without falling into pastel. 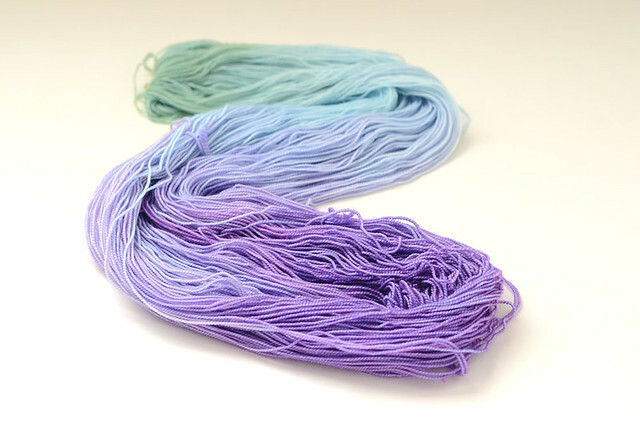 Pansy was last month's colorway, inspired by the blue and purple flowers with a hint of green for the leaves. 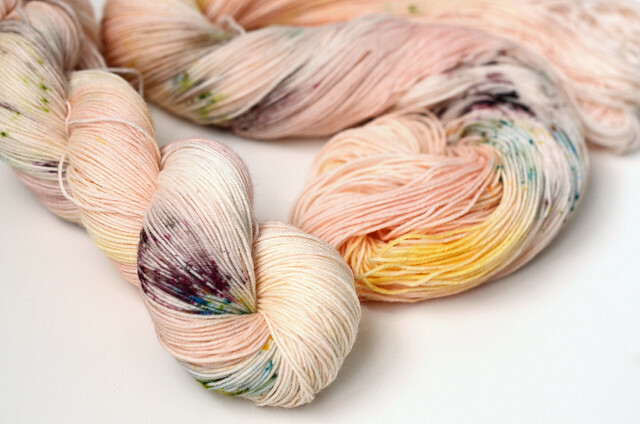 Yarn club colors are always exclusive for three months, but you'll be able to find this color in the shop starting in July. For more immediate gratification, The Sandman debuted this month. Warm, sandy tones with dusting of moss and chocolate.